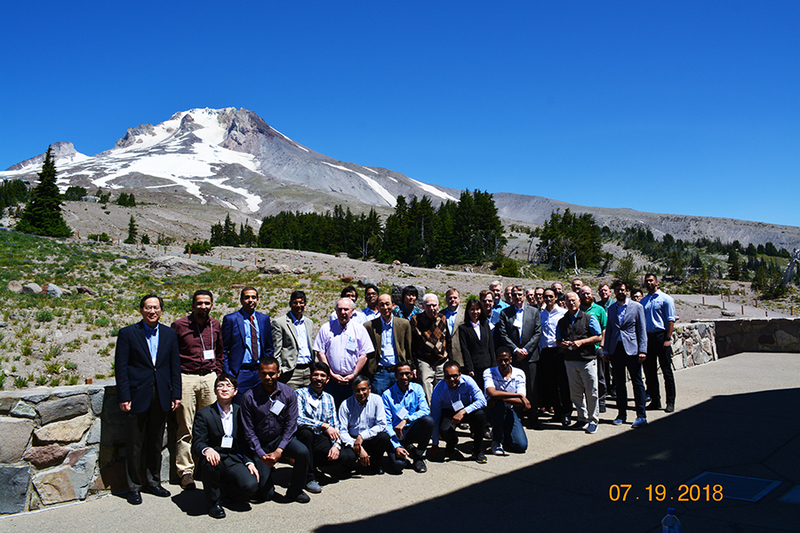 This year the Summer IAB Meeting was held at the historic Timberline Lodge on Mount Hood in Oregon. 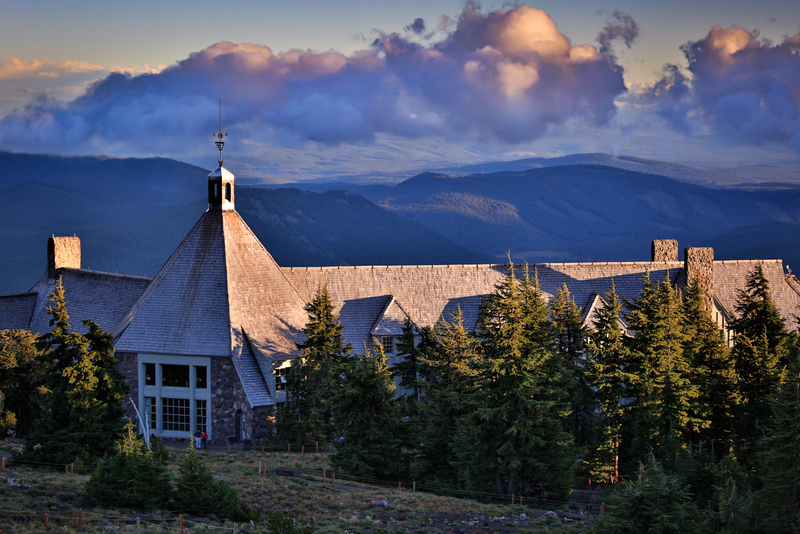 Timberline Lodge sits nearly 6,000 feet above sea level with spectacular views of surrounding mountains in the Cascade range. 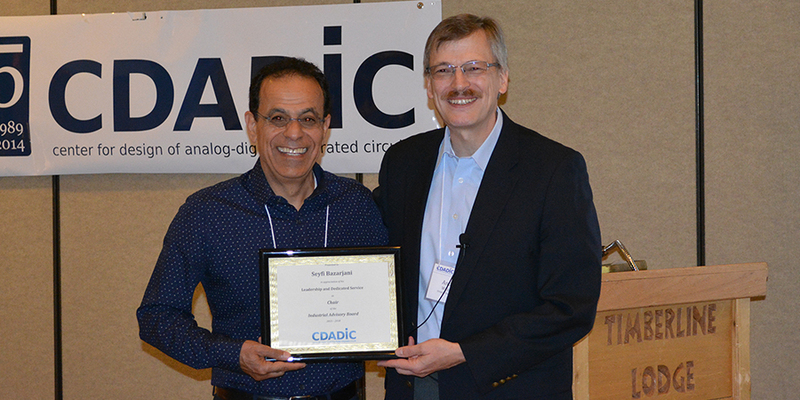 Seyfi Bazarjani from Qualcomm was recognized for the 3 year tenure as the CDADIC Industrial Advisory Board Chair. Richard Soenneker, long-time IAB Member participant from Analog Devices now assumes the role of IAB Chair and we’re looking forward to his leadership in that role. 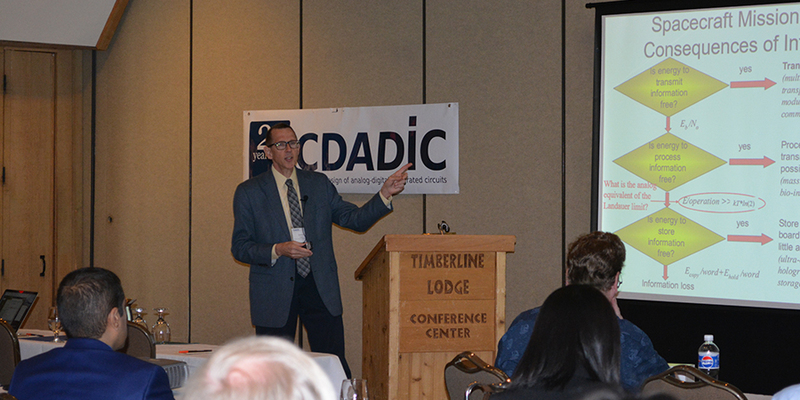 Our keynote speaker was James Lyke, Principal Electronics Engineer, Space Electronics Branch at USAF. 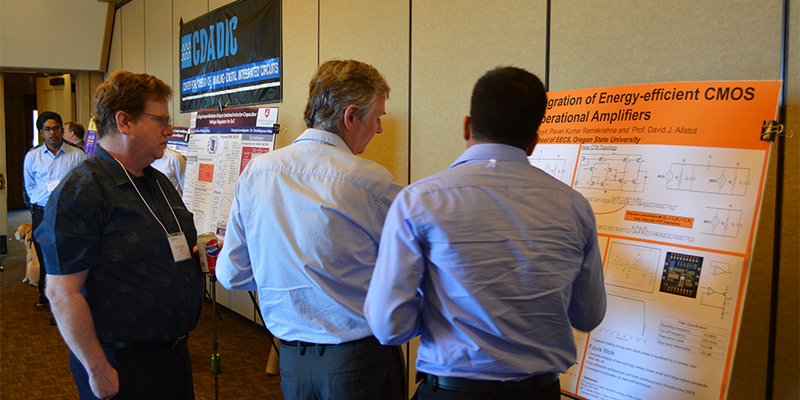 He presented his vision for the future needs of RF mixed-signal technologies which will be particularly useful in future space scenarios. 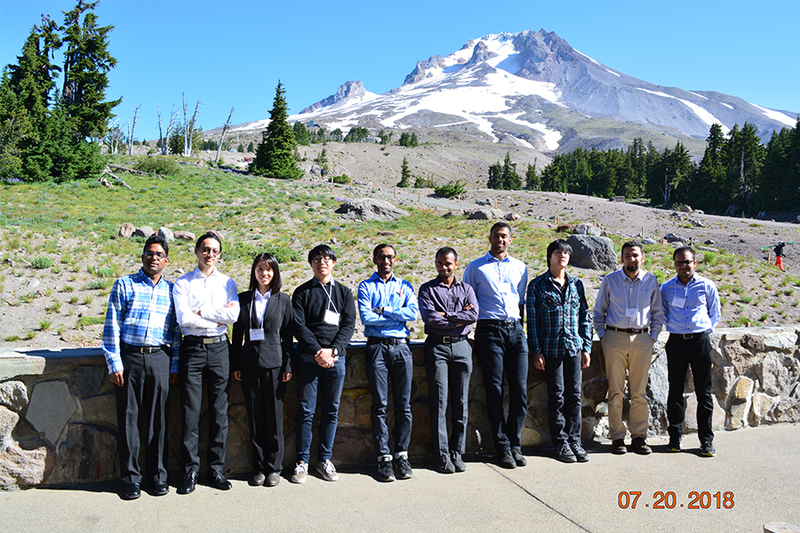 These group photos with Mount Hood in the background show the meeting participants including the students who presented the one-minute previews prior to the poster sessions. 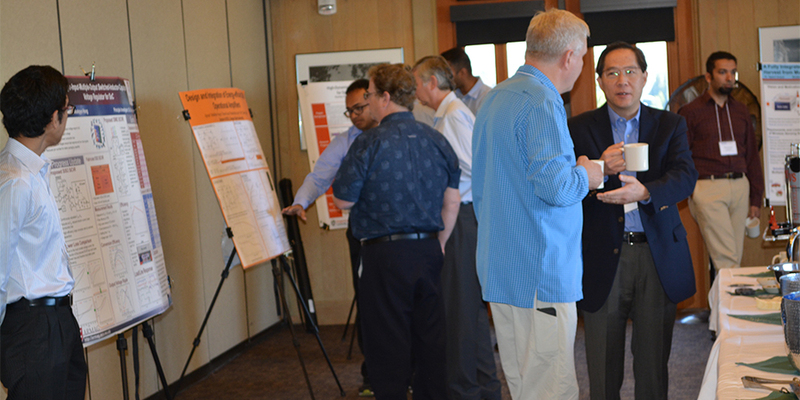 Of course the primary purpose for the meeting was to hear research project proposals from the CDADIC faculty who were invited to give presentations this year. At the end of the meeting IAB Members went into closed session and selected the projects for funding during the 2018/2019 year. Here is the list of projects CDADIC is funding this year (in alphabetic order by Faculty PI name). 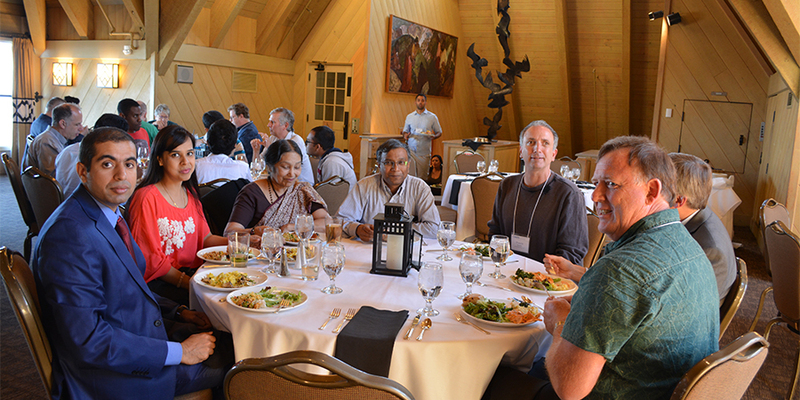 We enjoyed excellent food, fantastic views, interesting lodge and opportunities to network with industry members, guests, faculty and students throughout the meeting. 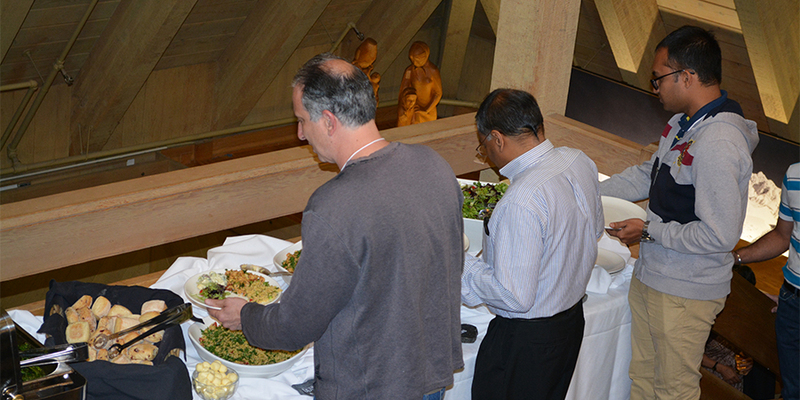 The Winter 2019 IAB Meeting will be February 7-8 at LaSells Stewart Center on the Oregon State University Campus.